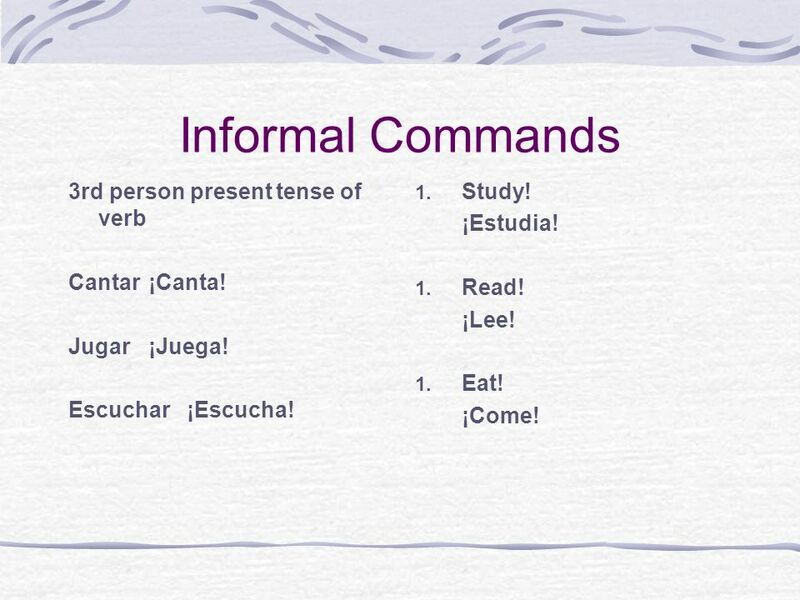 Informal Commands 3rd person present tense of verb Cantar ¡Canta! 1 Informal Commands 3rd person present tense of verb Cantar ¡Canta! Jugar	¡Juega! Escuchar ¡Escucha! Study! ¡Estudia! Read! ¡Lee! Eat! ¡Come! Stay here! Quedarse Queda Quédate Go to bed! ¡Acuéstate! Get up! ¡Levántate! 3. Take a shower! ¡Dúchate! Don’t get mad! Enojarse ¡No te enojes! Don’t take off your socks! ¡No te quites los calcetines! Don’t fall asleep! ¡No te duermas! Don’t put your shoes on the table! 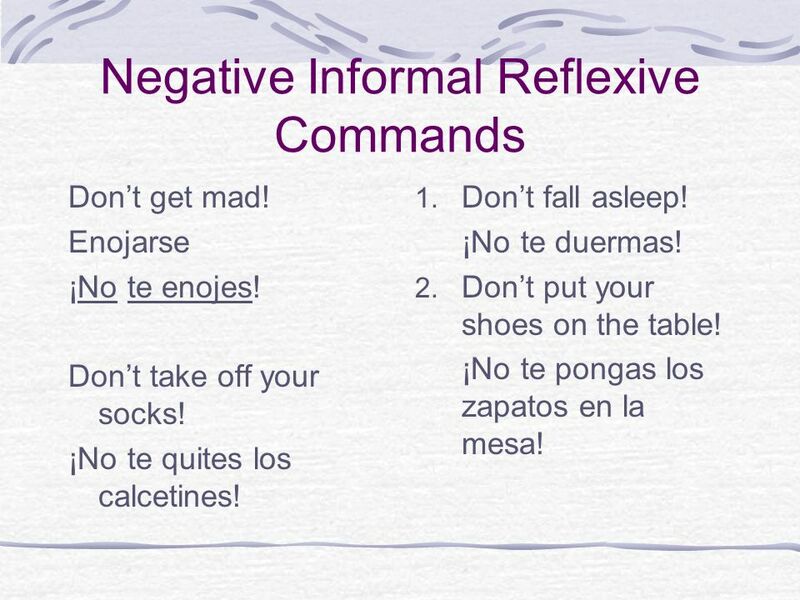 ¡No te pongas los zapatos en la mesa! 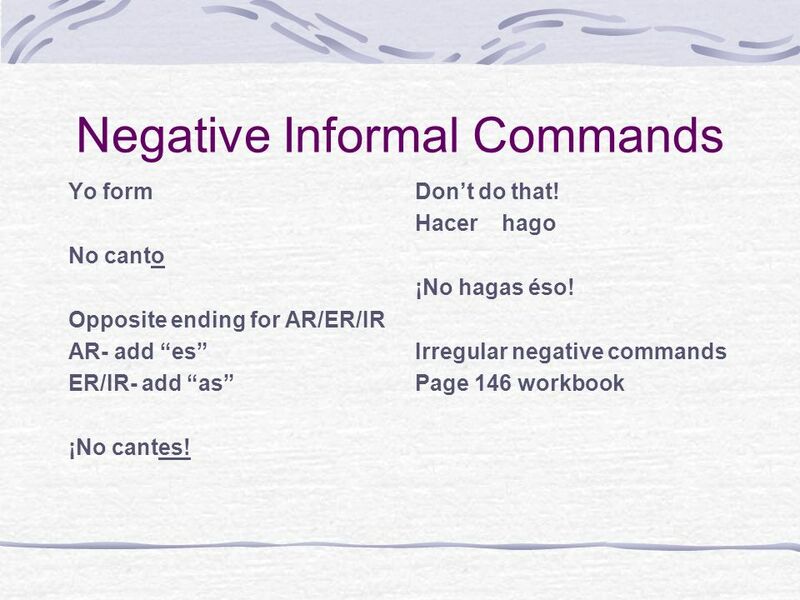 Download ppt "Informal Commands 3rd person present tense of verb Cantar ¡Canta!" 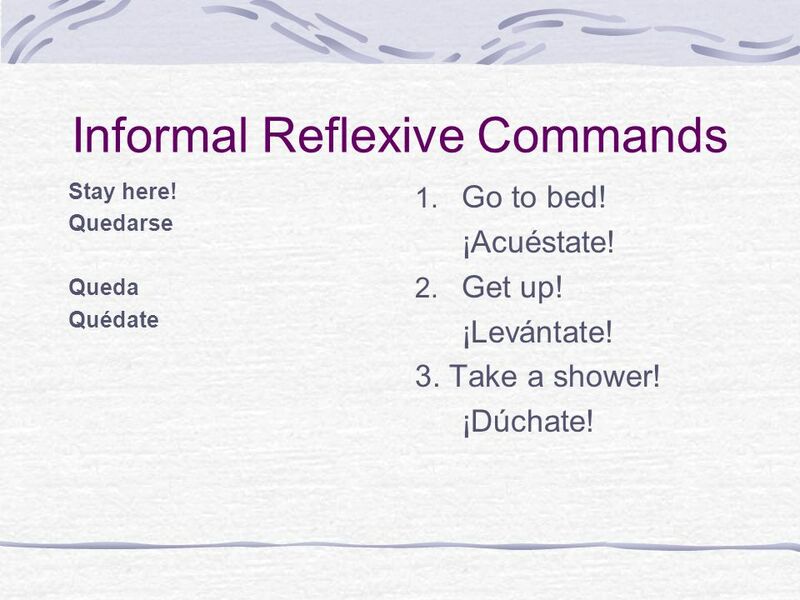 Cuerpo sano, mente sanaGramática 2 Object and reflexive pronouns with commands Preview Pronouns with affirmative commands Pronouns with negative commands. Tú. Commands Page 97 Avancemos 3.